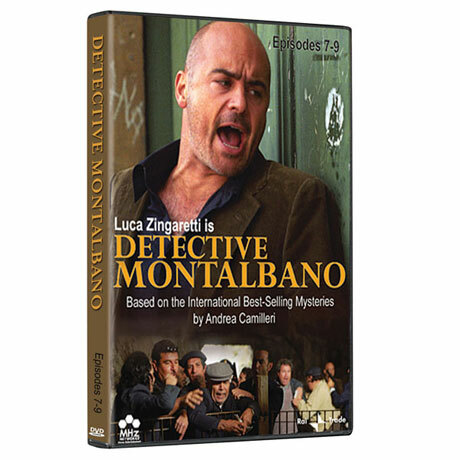 Based on the spectacularly successful Inspector Montalbano mysteries by Andrea Camilleri, this longrunning Italian television series is a huge hit in Europe. Luca Zingaretti stars as the grouchy Sicilian police chief who hates bureaucracy and loves Sicily, justice, his girlfriend, Livia, and Sicilian cooking. Filmed in sun-washed Sicily, each set includes 3 feature-length episodes. Each is about 6 ½ hrs on 3 DVDs. Italian with English subtitles. Episodes 7-9.